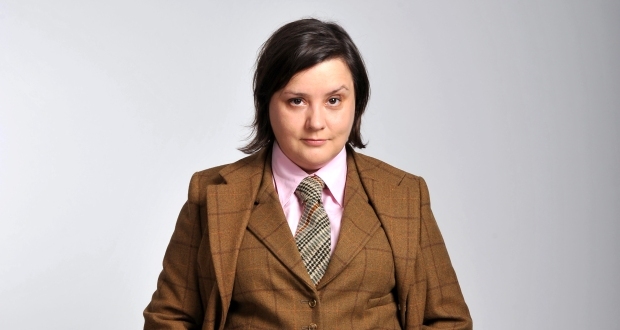 Probably best known for her regular appearances on Radio 4’s The News Quiz, Susan Calman attempts to break stereotypes immediately by taking the stage to Greenday’s Basket Case. Calman immediately breaks into an affable, relaxed introduction and covers her history at the Fringe, the cross-section of society that her shows brings together, her love of the News Quiz and its regular panellists, and – of course – the weather in Scotland. This show, Ladylike, is largely about Calman’s attempts to be kinder to herself following a mental breakdown last year (she’s fine now though. “Fine.” “Absolutely fine”, as she reassures in her forbidding Glasgow accent). The show deals with her family life, early formative experiences, her parents’ attitudes towards Susan and her sister, her lesbianism and the various reactions she has had to it, her wife and the patience required to live with a character like Calman, and romantic gestures gone wrong – with hilarious consequences. As Calman draws a well-rounded and honest depiction of herself, she skillfully brings in the negative feedback she has had from the News Quiz, from her act, and from tweeting pictures of otters holding hands. Although a largely positive show, Ladylike deals with some heavy issues in a typically flippant way – and self-deprecation is peppered throughout. Calman covers all the social topics one would expect from a 4ft11 Glaswegian Lesbian working in a London-centric, male-dominated environment, and yet avoids feeling exclusive or preachy with nimble agility. In essence, Ladylike is an hour of superbly structured personal storytelling from one of the best in the business.